Recovery of energy generated by an indirect dryer to power a direct dryer. 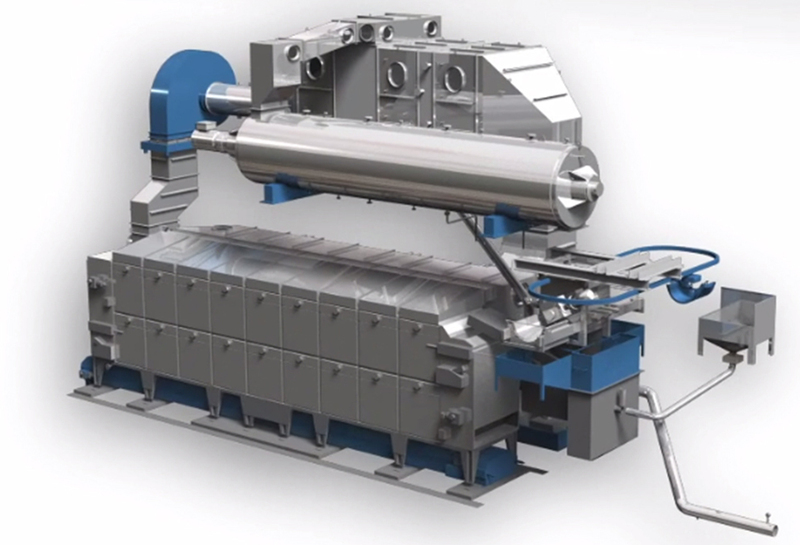 The EvaporisTM LE,based on the Innodry®2E, is a complete process for treating dewatered sludge. EvaporisTM LE accepts all types of dewatered sludge( UWW, IWW,…) with particularity of accepting a wide range of sludge dryness and very different quality. 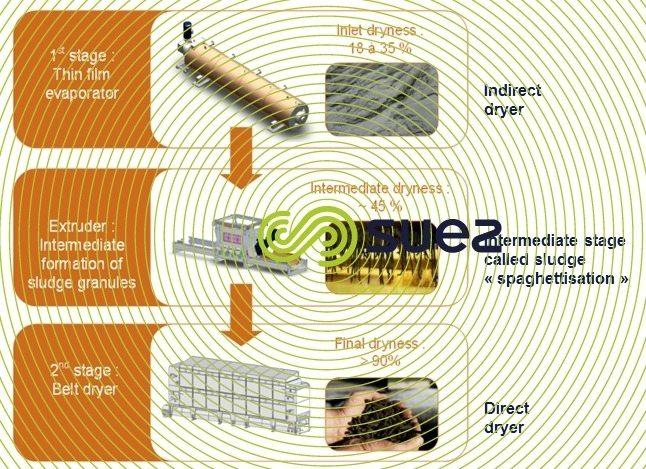 Working on the principle of energy recovery the system is composed of several stages, including two drying stages consisting of a thin layer dryer (indirect dryer) and a belt dryer (direct dryer), the latter being powered by stream energy from the upstream dryer, restituted via a condenser.